Iggy(a.k.a. Iggy Kenton), who was born in Amsterdam in 1972, began his professional DJ career in Raffle’s ( a well known famous bar/club in Amsterdam) in 1992. Besides his sound engineer assistant role in Raffle’s where famous National DJs of the Netherlands take the stage, he attracted great attention with house sets that he played before and after various performances of local dj’s Hero’s. He was filling the building with an enthusiastic crowd and a lot of female fans. The manager gave him a permanent Job as an DJ and he took off with soulful house music. Iggy, developed his own unique style that combines many different music styles within the same atmosphere by using various mix techniques and logics throughout the night. He constantly improves his work in order to share the positive energy that is revealed by transforming the monotony and unauthentic tastes to different flavors in his club performances. 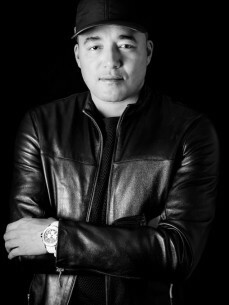 Iggy, who plays in various elegant venues such as Escape, Sinners and club IT, and several Amsterdam’s places, has the mentality of DJ’íng in his blood. His mother runs a well known bar in het heart of Amsterdam. So he breathes the Amsterdam air. And with his Amsterdam attitude he become very popular with the ladies. Later in the 90’s he was resident at the notorious afterparty club Dino’s.